ST. THOMAS – If you ever need a lesson in determination and perseverance look no further than the UVI Men’s Buccaneers basketball team. ST. THOMAS — University of the Virgin Islands’ students will soon have easy access to campus facilities such as the library and fitness center on the weekends. 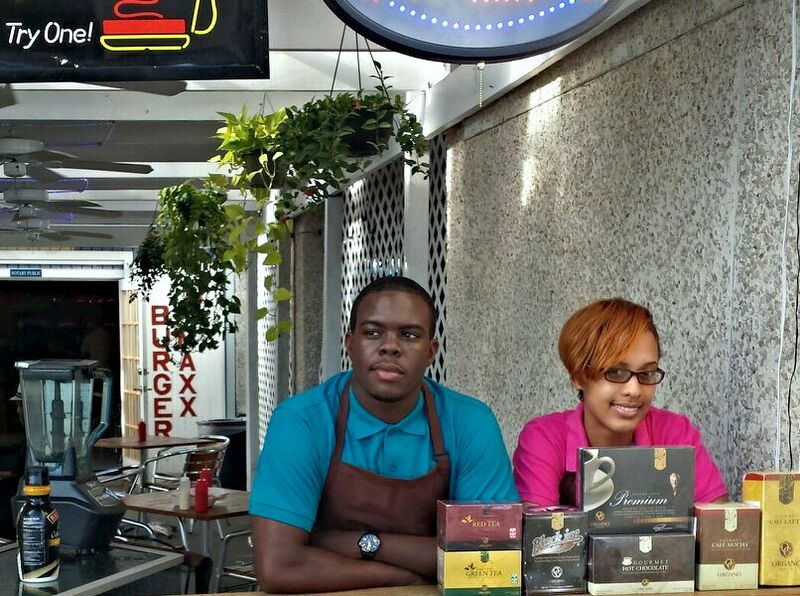 ST. THOMAS – Yentyl and Khalarni wake up each day enthused about their new business. Their hectic 18-hour days begins at 6 a.m. Throughout the day, they bounce between jobs, assignments, classes, school organizations, and their new business, leaving little time for a social life. or sleep. Left: Khalarni Rivers, Right: Yentyl Levet at The Mix on the waterfront infront of BurgerMaxx, downtown Charlotte Amalie, St Thomas USVI. At this time of the semester, many students at the University of the Virgin Islands are worrying about final projects, research papers, carnival celebrations and senior year. The same cannot be said of 21-year-old Yentyl Levet and 22-year-old Kharlani Rivers. These two students are not ordinary UVI juniors. Yentyl and Khalarni are busy running their own business – The Mix. 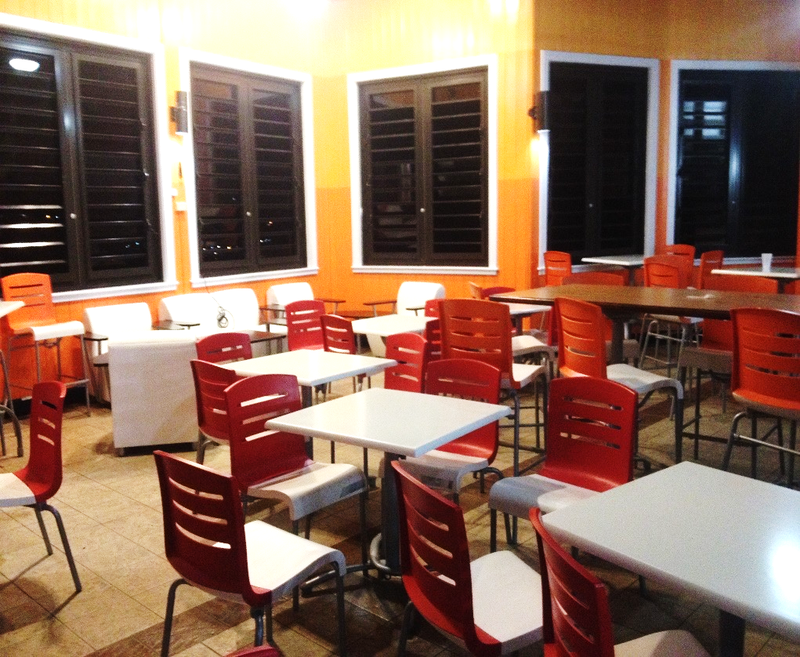 The Mix is a recently opened coffee stand located in front of Burger Maxx on the Charlotte Amalie waterfront. The Mix offers frozen and hot organic coffee. Ultimately, Levet and Rivers wish to turn the coffee stand into a full-blown business by 2016. Kharlani decided to open The Mix to inspire more Virgin Islanders to become entrepreneurs. The idea to open The Mix began about six months prior to the launch of the business and came as a result for the need to do something greater for themselves and their community. Establishing this business was also a means to provide funding for their youth initiative- TEHO, To Each His Own- a community project designed to help young adults reach their full potential. Opening The Mix meant more than giving up their social lives; Rivers is now taking fewer credits in order to run the business daily. 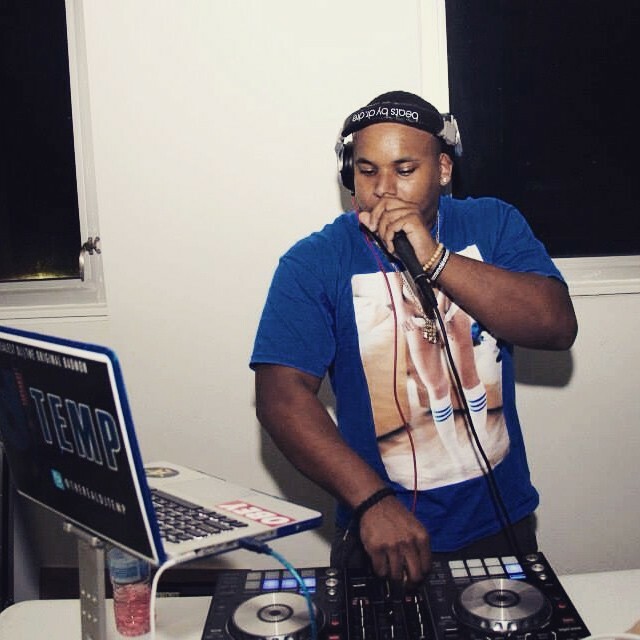 DJ Temp playing at SGA’s Back to school party at UVI Sports at Fitness Center, January 2015. Desperate for opportunities and exposure, some students such as Michael McFarlane and Branford Parker did not have to reduce their course load, but gave up video games in their pursuit of becoming business practitioners. Parker, a freelance photographer and videographer, and McFarlane, a radio personality and disc jockey, are rising Communication majors at UVI. Both students said that at first they had to provide their services for free to make a name at the university. While most of their work is freelance, it is their dream one day to open their own companies, but for now, they use the money made from small gigs to fund their schooling. McFarlane, DJ Temp, plays regularly at nightclubs around St. Thomas and hopes one day to be on the poster for every party. McFarlane believes that he is getting closer to his goal as his weekends are becoming a lot busier. For many British Virgin Islands students at UVI, like Malisa Ragnauth, their weekends usually include a commute home via the ferry every Friday. However, Ragnauth is not journeying home just to meet with friends and family. The graduating accounting senior is the owner of her own business, Caribbean Imports, based in Tortola. Ragnauth said it is not easy commuting every weekend to Tortola but her business depends on her physical presence. For Malisa, one of her greatest regrets is not being physically present to receive customer feedback. 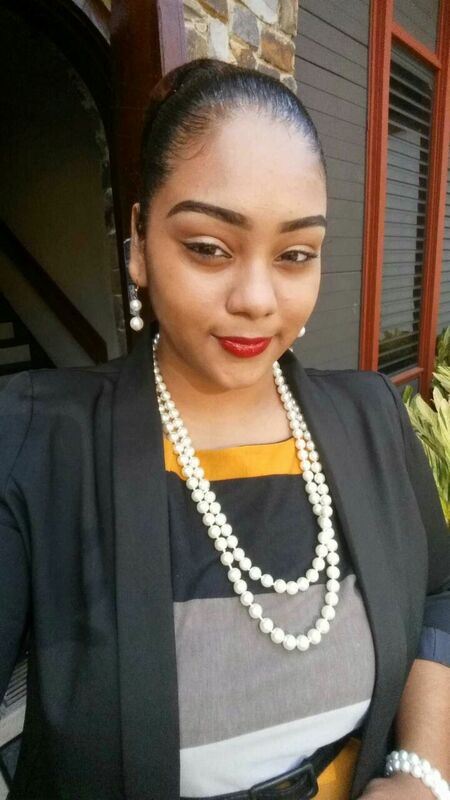 Ragnauth’s business has been in existence for the past two years and was created at first when her parents, originally from Guyana, were not able to find Guyanese products in Tortola. Malisa’s company imports fresh seafood, spices, seasoning, groceries and clothing from Trinidad and Guyana. Malisa said she wanted to fill the void left by supermarkets offering American products only. Kharlani, Yentyl, Branford, Michael and Malisa are not the only students at UVI working to achieve their goals of becoming business entrepreneurs. The culture of entrepreneurship is being cultivated by the school’s annual 13-D competition. Participants in the program stand to win as much as $30,000 in prizes for their business ideas. St. THOMAS- Transitioning from high school to college may be a breeze for some, but for others, it may become quite the headache. Shaquan Lewis, an 18-year-old accounting major, thought that “making friends and keeping up with the work load would be the most difficult things to get used to.” In the high school he attended, his teachers and friends made it seem like the college professors were “heartless monsters.” To get over his fear, Lewis made sure he stayed on top of the game. He always made sure to look at his syllabus, and plan his day the night before, to make sure to complete every task that he is given. This is not the case for some freshmen. Sadly, many of them lose themselves to become part of the crowd. Safety is a big part of what students are afraid of. School shootings occur across the United States, and that can traumatize many freshmen. 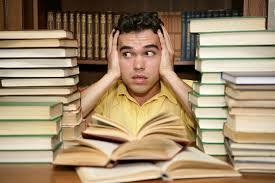 Procrastination is an epidemic that has become a serious problem for many. Some students, especially freshmen, may procrastinate way too much. The transition from high school to college may be frightening, but there is always a way to conquer it. It’s up to you to figure out your balance and make your college career successful! Liza Margolis, UVI senior coordinator of donor relations and special events said that Afternoon on the Green is a one-of-a-kind fun event that changes every year. 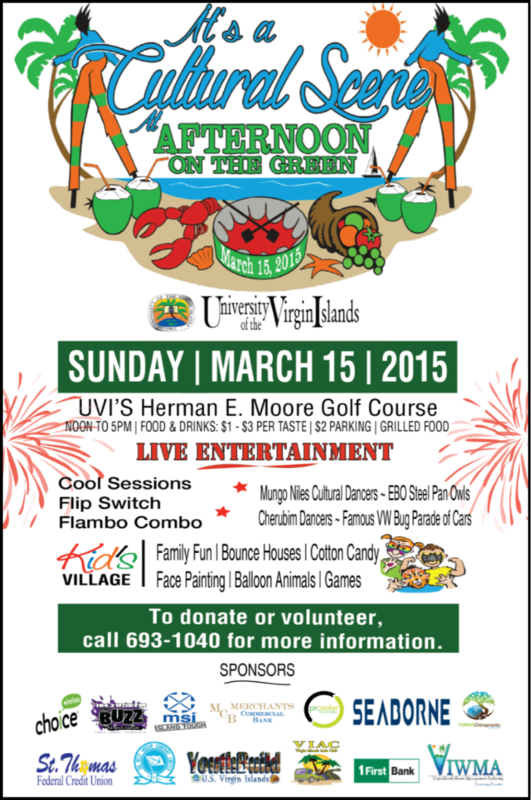 Proceeds from the annual event fund scholarships for UVI students. Prizes for this year’s cook-off competition include round-trip tickets to Puerto Rico, dinner for four provided by Passion Fruit Chefs and two round-trip tickets to St. Croix. Prizes will also be awarded to cooks in each category, which include pastries and sweets, soups, native drinks, vegetables/casseroles, main dishes/meats/poultry, seafood, and breads. Entertainment will be provided by Cool Session, Flip Switch, Flambo Combo, the EBO Steel Owls, the Mungo Niles Cultural Dancers and the Cherubim Wesleyan Methodist Dancers. In the Kid’s Village, there will be fun games, relay races, kick ball, hula hoops, tug of war and bounce houses. There will also be a mini parade of 25 vintage Volkswagens and Mustangs that will make a grand entrance on the green. The Afternoon on the Green is sponsored by West Indian Company Limited, First Bank, St. Thomas Federal Credit Union, the VI Housing Authority – Youth Build, VI Waste Management Authority, Thrive Chiropractic, Pro Solar, VI Auto Club, MSI, Merchants Bank, Paint Depot, the West Indies Company, Choice Communications, Seaborne Airlines and 104.3 The Buzz. THOMAS, V.I. 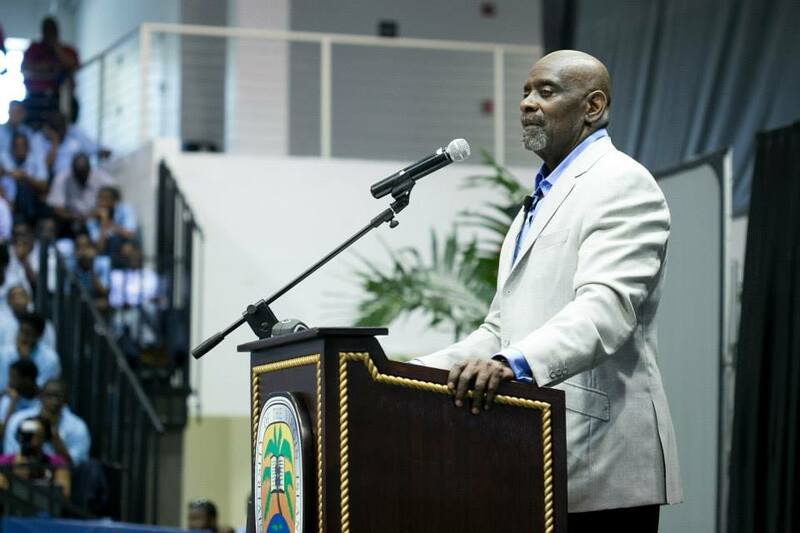 – A hush fell over the University of the Virgin Islands’ Sports and Fitness Center when Chris Gardner’s deep, baritone voice resonated across the room. Gardner, a noted author and philanthropist, was the featured guest speaker on Tuesday at this year’s 5th annual Man-Up Conference held under the theme, “Awakening the Leader Within.” The Chris Gardner at Tuesday’s event was a far cry from his former self 20 years ago. Dressed in a champagne-colored jacket, light blue shirt and black pants, Gardner stood tall and statuesque at the podium ready to address the scores of schoolboys gathered inside the auditorium. Gardner, 61, rose to prominence in 2006 after the publication of his Book, “The Pursuit of Happyness,” in May of that year. The autobiography became a New York Times and Washington Post #1 bestseller. It has since been translated into more than 40 languages. “When I wrote The Pursuit of Happyness, it was not my idea because I had to relive a whole lot of stuff I didn’t want to think about,” Gardner said. He said that as a result of the book, he has been frequently asked if he could do it again and if he would change anything from the past; His answer to each question is ‘yes’ and ‘no,’ respectively. Chris Garder addresses scores of male-students at UVI’s 2015 Man-Up Male Empowerment Conference. Seven months after his book was published, Columbia Pictures released a film with the same name with Will Smith starring as Gardner. “The film is often referred to as a ‘Rags-to-Riches’ story. For me, it was not about money; it was about a man giving his son something he never had: a father,” Gardner said. Addressing the group of middle and high school boys from across St. Thomas, Gardner began his presentation recounting experiences from his childhood, which was marked by poverty, domestic violence, alcoholism, sexual abuse and family illiteracy, and telling how he suffered at the hands of his stepfather. Gardner never knew his father and he made the decision not to follow in his father’s footsteps. In the brief account of his life, Gardner recalled that he was penniless and homeless, and had to raise his son on his own. He said it was during the early ‘80s when the U.S. was going through a recession and unemployment was at 29 percent, and that homelessness was becoming a major issue in America. “I made the decision that if I had to sleep in a public washroom with my child tied to my back at 28 years, I would because I made that decision as a five-year-old boy,” Gardner said. Gardner’s luck began to turn around in 1982 after he earned a spot in the Dean Witter Reynolds training program, an American Stock Brokerage and Securities firm. The program offered no salary and he remained homeless but with determination and perseverance, Gardner eventually became a fulltime employee of the firm. Five years later, he moved on establish his own brokerage firm, Gardner Rich & Co., in Chicago, Illinois. Gardner credited his willpower and determination to his mother, Betty Jean Triplett and his “spiritual genetics,” a term which he coined. Punctuating his speech with two scenes from the movie, The Pursuit of Happyness, Gardner sought to explain how those scenes accurately depicted his life. Gardner ended his 30-minute presentation by urging his audience to develop a plan and stick to it. “Our plan has to have five C’s: it must be clear, concise, compelling, consistent and committed,” he said. With the use of visual aid, Gardner presented pictures of Michael Jordan, Oprah Winfrey, Will Smith, U.S. President Barack Obama and Nelson Mandela. The Man-Up conference was sponsored by UVI, the Department of Human Services, the Department of Education and UVI Brothers With a Cause. 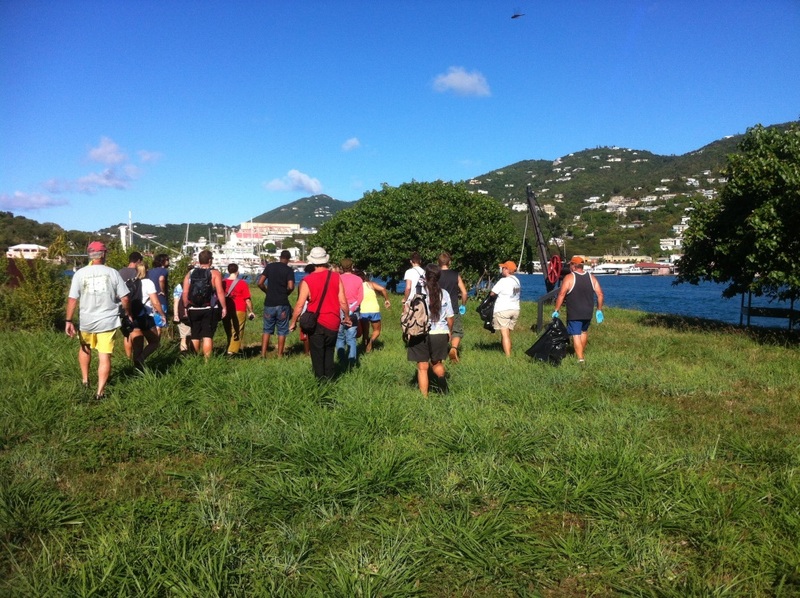 The program was presented Wednesday on St. Croix. ST. THOMAS — Responding to concerns and outcry from students for an improvement in the dining experience at the University of the Virgin Islands St. Thomas Campus, the university contracted Goddard Catering Group (GCG) as the new vendor in January 2015. The five-year contract with GCG , which commenced in spring 2015, replaced L’ettoile Catering, which served the university for nearly a decade. Georges also said that the new cafeteria is a brand new style of dining. The new vendor has implemented massive changes since assuming its role in January 2015. These changes include: All-you-can-eat buffets from 7 a.m. to 11 p.m. daily, and the installation of new furniture and healthier meal options for students. Another newly implemented change is that students are no longer allowed to remove food from the dining pavilion. General Manager Jahmal Dyer said the dining pavilion is not complete. Other changes to be made include the installation of air conditioning, a sound system, touch screen monitors to display daily menus and a wider variety of menu choices. Dyer added that the company is currently searching for another chef to help implement a greater selection of special diet meal options and cultural days including Oriental Day. Secondary education senior Kimberly Donovan said that she likes the new cafeteria. 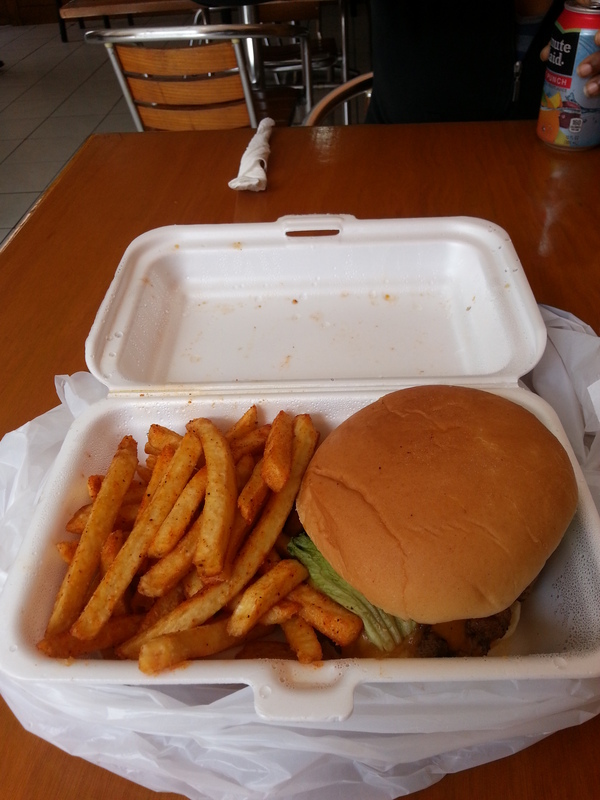 She said that the staff is friendly, the décor is welcoming and the food has improved significantly. While students have lodged complaints and provided suggestions on how service at the new cafeteria can be further improved, the overall feedback on the new dining pavilion has been positive. The award winning company supplies food to US Airways, United Airlines, Continental Airways, Delta Airlines and Net Jets. GCG is also the proprietor of Delly Deck on St. Thomas. 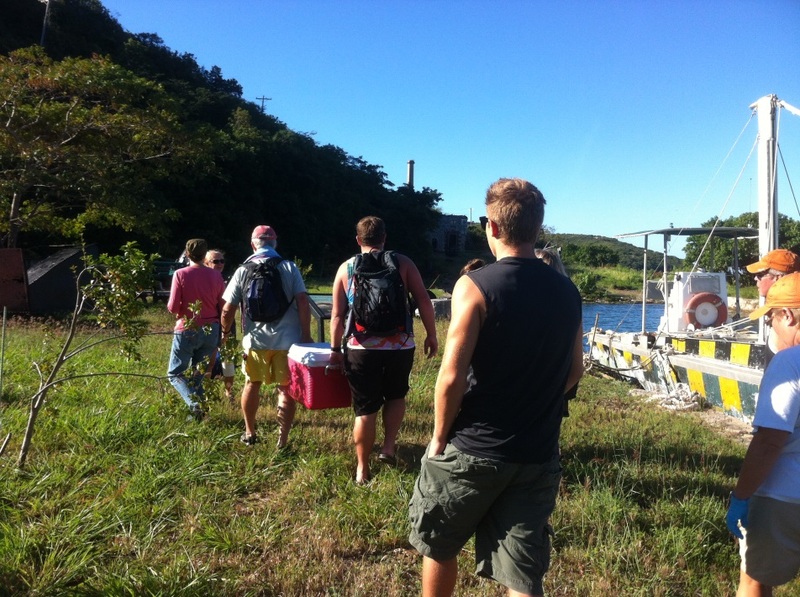 GCG is based in Latin America and the Caribbean and owns restaurants in the Virgin Islands. ST. THOMAS –The University of the Virgin Islands men’s basketball team traveled to San Juan, Puerto on Jan. 31 to play their second conference game against the University of Puerto Rico’s team, Sacred Heart. The UVI Bucs look to better their record (1-0) on the road against a team that outmatched them by 31 points last year. This year has already proved to be a better season for the Bucs, as last season they did not taste a win. The Bucs, previously coached by Ryan Skinner, have made a plethora of changes going into this season. One of the changes was the acquisition of Coach Myron Brown. Coach Brown spent two seasons at the University of St. Thomas in Miami, Florida. He joined the St. Thomas Bobcats after a season as the Head Coach for DeVry University where he built the DeVry University Men’s Basketball program from scratch without any athletic scholarships. The Detroit native brings along four years of coaching experience in the National Association of Intercollegiate Athletics to the Liga Atlética Interuniversitaria de Puerto Rico for the Bucs this year. In addition to adding a new coach for the program there are also several new athletes that will not be eligible to play in conference this season but are practicing with the team. It seems as though the program may have a better future. Tip off for the game was scheduled for 8:30 p.m.
At the tip, the Bucs gained the first possession. The Bucs brought the ball down the right side of the court and dumped it in to Dornel Weaver who finished at the basket. The Bucs opened up the game in a full court man press, a different look from what we have seen in the past. Sacred Heart responded on the other side of the floor. Chris Rodriguez, Heart’s biggest scoring threat this year, made a 15-footer in the middle of the paint. Both teams seemed to be a little slow at the beginning of the game, each team with three turnovers. Neither seemed to be completely dominant. At the end of the first quarter the Bucs led by three, the score was 14-11. After the first quarter the Bucs were led by Weaver with six and Rodriguez with seven. The second quarter started at a much higher pace. The bench for the Bucs began to respond to the home crowd with chants. It nearly felt like playoff atmosphere. Sacred Heart came out of the quarter making several adjustments, including a full court press that momentarily baffled the Bucs. They forced two quick turnovers. Joaquin Martinez scored his first bucket on the night. After a quick timeout, it seemed Coach Brown said all the right things that his team needed to hear. They responded by scoring a quick 8 points, ending Sacred Hearts 5-0 run. Sacred Heart didn’t let that rattle them; Rodriguez fired two corner threes with 2:44 remaining to put them up 29-28. The Bucs entered the half leading 32-31. This philosophy must have been engraved in the Bucs because they came out swinging. Chris Lockhart and Salim Ross lead an early surge in the beginning of the half. Ross scored an easy four points transition. Lockhart was just starting to warm up, he scored a quick 8 points from the mid-range. Lockhart found Weaver under the basket with a no look pass. Chase Tomas may have been the game changer in this contest; he scored two and-one baskets early in the quarter that turned the momentum away from Sacred Heart. Freshman Jabari Alexander and Paul Watson also had great debuts. With 5:20 remaining in the 3rd quarter, Alexander drove along the baseline and dished the ball to Weaver for a basket. The next possession Watson scored an easy bucket on his defender. There was 3:13 left on the clock in the 3rd quarter. Sacred Heart took the ball out on their sideline after a time out. Steven Quiroz lobbed the ball on the inbound to Alejandro Grant and nearly connected for a game changing alley-oop. Both teams continued to score back and forth until the end of the quarter. Grant, got his first bucket with 1:00 remaining. Going into the 4th quarter the Bucs trailed 49-45. Lockhart led a frenzy from the bucks in the beginning of the quarter, scoring 8 points to give the bucks the lead. Early in the quarter, Grant picked up his 4th foul and went to the bench leaving Sacred Heart at a size disadvantage; However his substitute William Schaening was eager for an opportunity. Schaening hit two big shots to bring Sacred Heart back within single digits. With 6 minutes left in the 4th quarter, the bucks were up seven points. It seemed as if they had the game in their hands, but that was not the case. Turnovers continued to plague the Bucs and Sacred Heart began to regain life. It was nearly a comedy of errors, fumbled passes stepping out of bound and shot clock violations. Nothing was going the Bucs way, yet somehow they remained in the game. In fact, they led by 2 until Schaning hit another big three to put Sacred Heart up 1 with :57 seconds remaining. Lockhart brought the ball down the court and ran through their play looking for a shot. He had an open look in the middle of the floor and took the shot; he came up short. Watson got the rebound and attempted to score when he was fouled. Watson went to the line to attempt his 3rd and 4th free throws of the game. His first free throw was short and he had one more attempt. His second free throw was also short; Ross followed the ball and attempted a put-back dunk and he also missed. Sacred Heart now had possession of the ball with: 5.6 seconds remaining. The ball was in-bounded and Grant was fouled by Watson. Grant went to the line to shoot 2 and cashed in on both attempts. The Bucs down 3 called their final timeout and advanced the ball to half court. Coach Brown drew up a play for Lockhart but it was defended perfectly. A quick adjustment was made, Watson found Lockhart in the corner for a 3. Lockhart’s left foot was out of bounds and the ball was called dead before he got to attempt the shot. Sacred Heart took possession and won the game 71-68. Sacred Heart was led by Rodriguez with 21 and UVI was lead by Lockhart with 26.